Safety always comes first, but this is far more important when you have a little one. To give you piece of mind, security, and convenience, there are baby monitors. With this one by your side, monitoring your baby will be much easier, and faster, so you won’t have to ask yourself what your baby is doing in their crib. 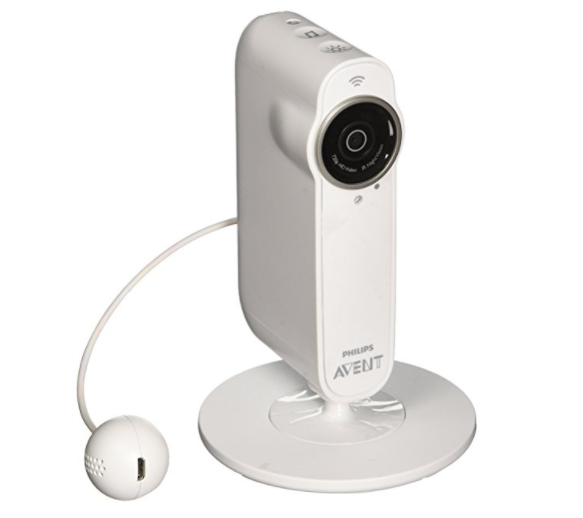 Some parents opt for an audio baby monitor, but we prefer video baby monitors, as they offer more convenience. In this article, you’ll learn a thing or two about these cleverly designed devices that will save your time and give you peace of mind. You will also see which video baby monitors are considered the best ones so that you can easily find just the thing you need. Here are 5 best video baby monitors, in our opinion. We reviewed each of them, so as to give you a better picture of their good and bad sides. Let’s take a look at what these devices have to offer you. What is a baby monitor anyway? If you are looking to buy a high-quality video baby monitor, then this is just the thing you need. The Infant Optics DXR-8 baby monitor is one of the best on the market, so rest assured that it would be a smart purchase. It comes with a long lasting battery, and sensitive sound, offering you much convenience when it comes to monitoring your baby. First, the battery life is just amazing. You get up to ten hours, thanks to a handy power-mode. But, without it, the battery life is still good, ensuring 6 hours of monitoring your kid. Now, what makes this baby monitor stand out from its competitors is interchangeable optical lens capability. Namely, you can select the desired angle of a camera, to have a better look at your baby. Thanks to a large 3.5 inches LCD display, you will enjoy every movement of your baby. However, the video quality is not top notch, so keep that in mind. Still, you won’t have any difficulty with seeing what your kid is doing. In addition, the sound quality, or should we say sensitivity is great. You will hear the smallest movement of your baby, which greatly contributes to their safety. As for the design, this unit doesn’t take up much space, so you can place it wherever it suits you best. The setup is simple and quick, so no need to worry about that. As for the price, well, this device is expensive. However, it is certainly worth the money, as you get so much with it. Our second model comes from Philips AVENT – the well-known company in the world of babies. 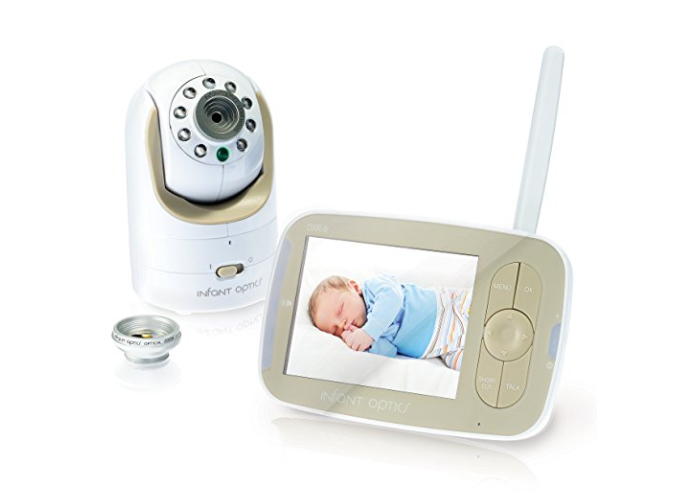 This baby monitor comes with all the bells and whistles, thus it is a great choice for those who want to have it all. What we love about this device is ease of use. Not only the unit is easy to connect, but it is also cleverly designed. You will definitely appreciate this feature. Speaking of features, this device allows you to play lullabies for your baby, as well as to talk to her/him. Not only that, but you can also take snapshots of your little angel, while he’s sleeping or when your baby does something funny that you want to capture. This is a nice bonus. The device also has a night vision, allowing you to easily check up on your baby while he’s in the dreamland. Like all these features don’t impress us enough, you also get a room thermometer and humidity. With all this being said, it is not surprising that this baby monitor is pricey. But, like a previous model this one also has got a lot to offer, so you should not miss out on a chance to have it. 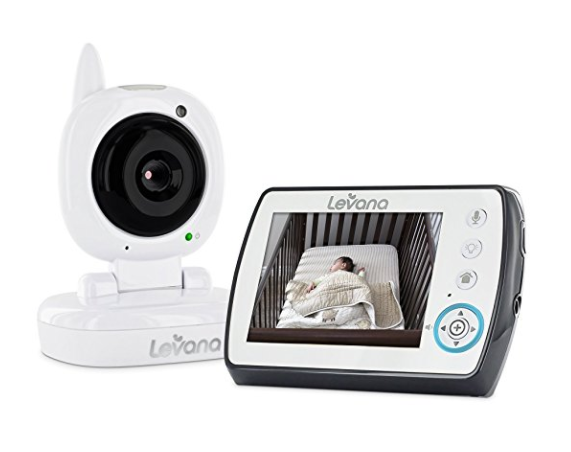 The Levana Ayden is the best value for the money video baby monitor. It comes with a decent battery life, 3.5 inches LED screen and is a breeze to use. The icing on the cake is a reasonable price. With a 3.5 inches screen, the image will be of a good quality. Of course, you cannot expect the top notch quality, since this unit is cheaper than previous models on the list. The device is simple to use, thanks to the responsive controls. Not only that but, you can set it up in seconds. What makes this product worth mentioning is a two-way intercom. Meaning, you can talk to your baby while not being in the same room. This is especially handy if you are making lunch or getting ready for work. As for the battery life, it is decent, so you won’t be disappointed. On the downside, the night vision is blurry, so you won’t be able to see your baby clearly. Here we have one more way to make the bond between your baby and you even stronger. 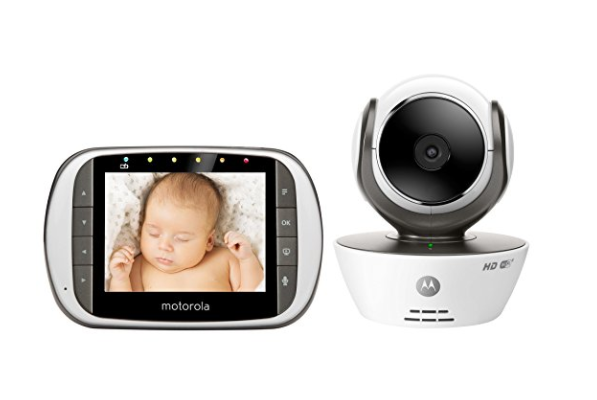 Here we are talking about the Motorola Video Baby Monitor – the perfect solution for keeping an eye on our baby. This device offers two ways of monitoring your baby. Thanks to a camera and a parent unit, you can keep an eye on your baby, from the distance. Use your computer, tablet or a smartphone to connect the device. However, do keep in mind that the connection will sometimes break, depending on how far the devices are. The battery life is about 9 hours, which is great. But that is not all this device offers. It has the ability to monitor the room’s temperature so that your baby can sleep soundly both during the day and night. 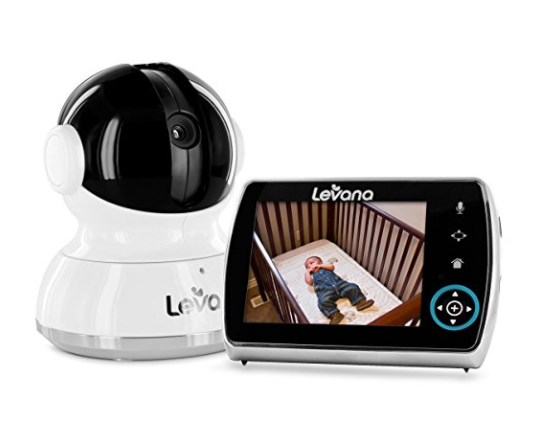 The Levana Keera is a good choice for those who want a reliable baby monitor. This little device may not be the best one on the market, but it certainly is worth the money. What impresses us the most about it is the battery life. You get up to 24 hours in a power saving mode. Much like the previous two models, this one also offers a two-way communication. So, talking to your baby has never been easier than with this little device. With its convenient size, this baby monitor will easily fit on the shelf or at the commode. As for the sound quality, you will love it, as you will clearly hear your baby. The unit is very simple to use, thus it’s a great choice for those who had never used a baby monitor before. As for the downfall, the night vision is a bit blurry. The first thing you would probably want out of a baby monitor is that it is not complicated to use. So, always read reviews in order to find out whether the device is easy to use because the last thing you need is to bother with functions and features for hours. Your baby needs you and you should have an easy-to-use device that allows for quick access to your baby. Again, some models have better video quality, while others have low video quality. However, this will depend on what you want and need, so choose according to that. Another thing to pay attention to is the battery life. Naturally, more expensive models have the battery that lasts longer, compared to cheaper baby monitors. Depending on the price you are willing to pay, a baby monitor comes with many or few features. However, one of the most useful features is a room thermometer, so look for that. Some models come with lullabies, to give your baby a better sleep, which is a nice little feature. Well, that is all from us. Now that you know what things to pay attention to, and which ones baby monitors are the best, choosing the one for your baby will be simple and easy. With the Best video baby monitor, you can sleep soundly, knowing that your little angel is safe. For those of you who aren’t familiar with this term, a baby monitor is a device that allows for monitoring your baby from the distance. They will monitor movements and the sounds of your baby, so that you know what your baby is doing, at any time of the day or night. Thanks to the modern technology, these devices now come with a plethora of features, including a room thermometer. Needless to say, these devices are very useful and every parent should have one of these, to give their baby the best care possible. Naturally, moms and dads worry too much and want to check up on their little dreamer every now and then. However, this can turn into an anxious parent who can’t think of anything else, but to listen to baby’s movements and sounds. Well, that is not good for you, because there has to be a limit. And that’s where a baby monitor comes in handy. With this one by your side, you get that piece of mind, because you can monitor your kid, and know when he’s crying when he’s awake when he’s sleeping. This means that you won’t have to go in person to check up on your baby, risking to wake up your little angel. With a video baby monitor, you can check up on your baby via your phone, which is far more convenient, both for you and your little one. For new parents, sleep is a luxury. With a baby monitor, you won’t actually wake up your baby, because you won’t have to enter the room each time you want to see them. In addition to that, you will also be able to sleep better, thanks to the calmness this little device brings you. Every second of your sleep counts and you definitely need to have the energy throughout the day, to be the best parent you can. We all know how creative babies and toddlers are, which unfortunately results in many injuries and falls. Video baby monitors will help you prevent falls because you will see when your kid is standing or trying to do something that would not be such a smart idea. Whether we are talking about babies or toddlers, they both need to have a good quality sleep. According to studies, kids that are one, two and three years old need about 13 hours of sleep every day, while babies need more. With a video baby monitor, you will easily monitor tossing and turning of your precious one, and so you will be able to track how much your baby actually sleeps. Some video baby monitors even come with a motion-sensor feature, to let the parent know about every movement their kid make. If you are willing to invest in a high-end baby monitor, then you will have all the convenience these little devices offer. Just imagine that you can see what your kid is doing, while you are at your work, at the restaurant or at the hairdresser’s. Well, you can, because some models offer that as well. How awesome is that? In addition to that, you can also share your private online streaming account with a nanny or relatives if you want to give them access to your kids’ routine.